Lean Tip #646 - Don’t Automatically Blame the Tool. It’s not the hammer’s fault if the person swinging it uses the wrong end. It just won’t work well. Most tools are decent enough, they’re just used incorrectly. Rushing to change a tool because things aren’t working well may be a mistake. Lean Tip #647 - Share More, Not Less When Implementing Process Improvements. Even in a small company, silos emerge. A policy of more sharing will help everyone stay in touch with what others are doing, and create a collective expectation. Keeping everyone pointed in the same direction is hard; sharing more about what’s going on, how you’re doing things, reasoning behind decisions, etc. will help. Lean Tip #648 - Identify Changing Requirements So You Don’t Lose Your Way. Over time your needs will change. You need to stay aware of this, so you can change processes accordingly. Keep a list of your top requirements to help you make better decisions on tools to use. Lean Tip #649 - Use Process Mapping to See the Entire Process. Use a whiteboard or large post-it note pads so everyone can see and think about what starts the process. Then just keep asking the team, “and then what happens,” until you get to the end of the process. The biggest challenge here is making sure the team doesn’t go off on tangents. If you are leading, tell the team that you are not solving any problems to start. You must understand the process first before you look at ways to improve it. Process mapping allows you to do this by seeing the entire process visually. Lean Tip #650 - Think Strategically On Your Process Improvements. There is nothing worse than optimizing a process and then having the entire system be less than optimal. In order to understand the parts, you must understand the whole. Get your entire team involved, understand the business strategy and goals, and start thinking from a high level. After that you can drill down into the details. Lean Tip #651 - Encourage Others: Give people something to prove. People grow when they have to prove themselves to themselves. Provide people and teams with stretch assignments that hold them accountable to a higher standard of performance. Lean Tip #652 – Encourage Others: Reward Courageous behavior. It is not enough to reward successful outcomes. To signal to the workforce that behaving courageously is truly valued, you also need to reward courageous behavior, regardless of whether that behavior produced a successful outcome. When workers take calculated risks, or even make forward-falling mistakes, their behavior needs to be recognized and rewarded if you expect others to extend themselves too. Lean Tip #653 - Be a fixer, not a victim. When you see a problem that you think “someone” should address, ask yourself if you could be doing something about it. It’s easy to complain or point fingers – it takes courage to be a part of the solution. Lean Tip #654 - Keep your focus on being effective. Effectiveness is doing things in a streamlined manner. It’s about getting things done and eliminating delay. By keeping “effectiveness” as your standard, you’ll access your courage more often. Lean Tip #655 - Do something, take action. Give it your best shot to overcome your fear, no matter what it is. Trying builds your strength, or else, you become more fearful if you let your (irrational) thoughts overcome you. Preparation almost always does the trick if you're apprehensive. If you're armed with the right skills and information, it's easy to give that daunting job a go. 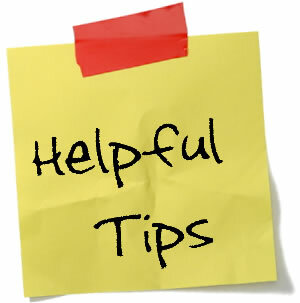 Lean Tip #656 – Problem Solving Tip: Identify and fix the right root causes. Complicated problems have multiple root causes, probably more than you can fix in a reasonable amount of time. Don’t waste time or money on causes that are either insignificant in impact or only peripheral causes of the problem you’re trying to fix. Lean Tip #657 – Problem Solving Tip: Choose solutions that are effective—and implement the solution completely. Identifying the right root causes is necessary, but unless you then implement a solution, you still have a problem. Double-check to be sure your solution plan really will eliminate the causes you’ve identified, and then execute the plan. It’s easy to get distracted by other projects once you get to the implementation phase and never finish. Lean Tip #658 – Problem Solving Tip: Reward prevention. Although it’s generally understood that it costs more to deal with crises than to prevent them, many companies do not recognize and reward those who push past the symptoms to the root causes, preventing future occurrences. If you want to focus on prevention, be sure to reward those who do it successfully. Lean Tip #659 – Problem Solving Tip: Everything necessary, nothing extraneous. Make sure you solve the problem completely, but don’t get sidetracked into doing other things that won’t make this problem go away. Put those extras aside to evaluate later as special projects. Lean Tip #660 – Problem Solving Tip: Everyone necessary, no one extraneous. Make sure everybody who can contribute to the problem solving effort is appropriately involved. Only have the people on your team who will contribute actively to solving the problem. People who need to know what’s going on can be informed more efficiently in other ways.